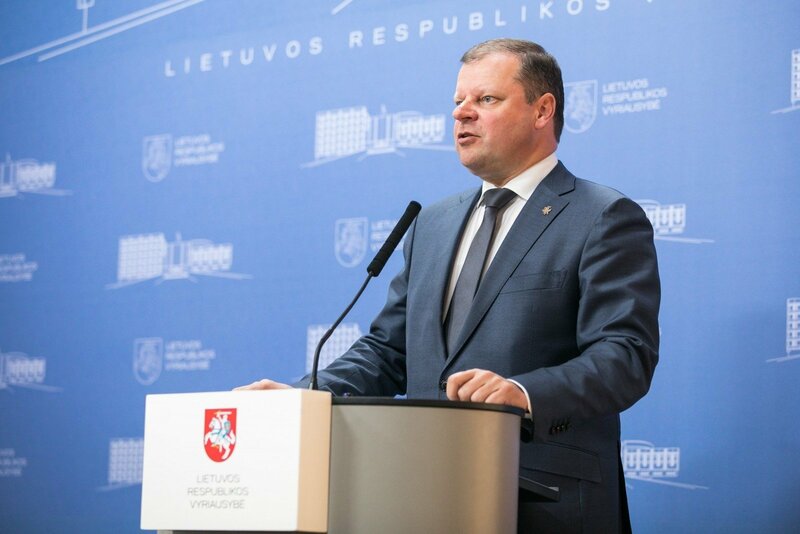 Lithuanian Prime Minister Saulius Skvernelis says that he will consult the Social Democratic Labour group in the Seimas in the search for a new justice minister. "There's no candidate yet. We haven't even considered this issue, but the search will begin and I will, of course, consult the coalition partners," Skvernelis, appointed to the post by the Lithuanian Farmers and Greens Union (LFGU), told reporters on Tuesday. "I will look for a candidate and will have the candidature approved both by the LFGU and the partners, because, formally, it was their quota under the former coalition agreement," he said. "We have only an agreement between the political groups now. There are no formalities, but there are certain oral agreements outlining the areas of responsibility." Skvernelis said that he had not urged Milda Vainiutė to resign as justice minister and that it was her own decision to step down in light of the current situation. The prime minister said that he had "no complaints whatsoever regarding her honesty, decency and diligence". "Perhaps communication skills were different, but no complaints were made about the quality of legislation. As for her competence, I never had any doubts about that during the Cabinet's meetings," he said. The Social Democratic Labour group in the Seimas said on Tuesday that they would propose a candidate to become the country's next justice minister. The group, which was established by lawmakers who left the Lithuanian Social Democratic Party (LSDP) after it decided to pull out from the government coalition with the LFGU, said they would hold a meeting on Thursday to discuss potential candidates.